Today I'm gonna talk about how to moving all databases to another server without changing connection string in web.config, app.config and whatever configuration file. Today I met an issue that my current SQL Server needs to be operated for some reasons and the SQL Server service will be offline for a few days. Our application is a global service for the company and it can't be offline for a long time. This means we have to move all databases from the current server to a backup server. The basic idea is that create a backup server and restore all databases on it. Then setup a redirect function on the original server so that all requests can be redirected to the new server. This function is called "Alias" in SQL Server, which can be configured in Sql Server Configuration Manager -> SQL Native Client. 1. Backup all databases from the original databases and restore them on the backup server. 2. Setup an Alias on the original server to redirect all requests to the backup server. 2. Login to the current DB server with your credential. 4. Change the backup directory, and then click OK.
5. Copy the backup file to the new DB Server. 6. Follow step 1 to login the new DB server. 8. 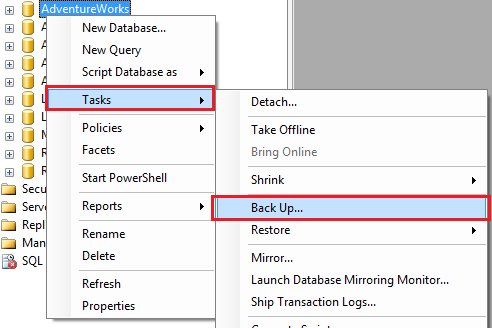 Select From device, choose the backup file, and then select the database name from the To database drop down list. Click OK button. 9. Now, you have moved the target database from the original server to the backup server. 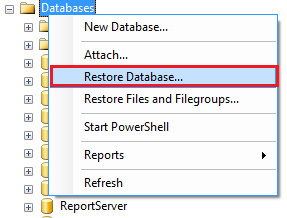 After you move all database from the original server to the backup server, the next step is setup a redirect settings in the original server to redirect all requests to the backup server. 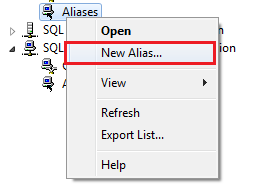 This setting is called 'Alias' in SQL Server. 2. Expand the SQL Native Client 10.0 Configuration -> Aliases. Generally there will be two menus, one is for 32 bit, the other is for 64 bit. 4. There are four fields need to be entered. The Alias Name, the Port No, the Protocol and the Server. The Server field should be the new SQL Server name. 5. After filling this dialog, click OK button to complete the setup. Make sure you setup the alias both in 32 bit and 64 bit. 6. Now, you backup server is ready to go. 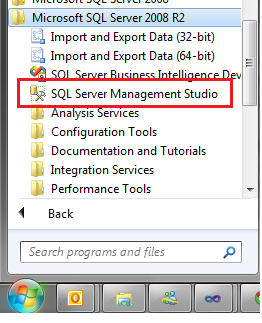 Disable you current SQL Server service and try your applications, it should work.